“Math is hard for many students. Math can be even harder for our children with Down Syndrome. 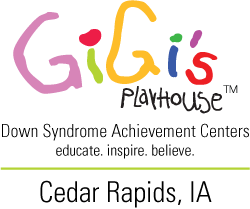 Often they need more repetition..
Sign up to receive GiGi’s Playhouse Cedar Rapids updates, special events and other happenings around the playhouse.